Extension cords are the perfect solution to powering any device far away from an outlet. However, not all extension cords are made equal. Winter extension cords are made for cold weather conditions and outdoor extension cords will become stiff as the temperature drops. The main difference between an outdoor extension cord and a winter extension cord is the insulation. Our Winter extension cords are built with a unique SJEOW Elastomer insulation. 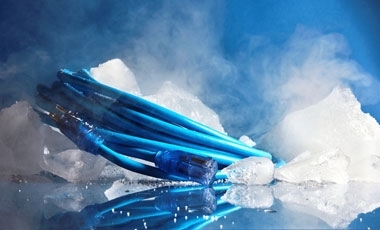 This coating allows the cord to remain flexible in temperatures down to -58 degrees Fahrenheit! Outdoor cords do not have the same protective material as winter extension cords. Winter extension cords have thicker insulation and are made with durable material to protect against moisture and extreme temperatures. All our extension cords are constructed to prevent light damage and chemicals damage, such as oil. When working with higher voltage equipment, it is recommended that you use a three-prong plug. Our winter extension cord comes with a three-prong plug. The third prong is known as a grounding wire. This wire reduces the risk of electrical shock or fires. The next time winter comes rolling in, be prepared with winter extension cords. 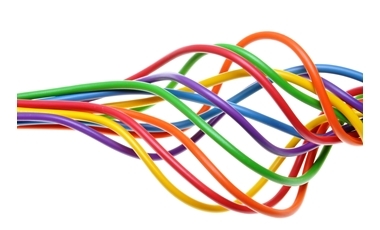 Before purchasing an extension cord, you need to take several factors into consideration. This includes your work environment, power requirements, and weather conditions. 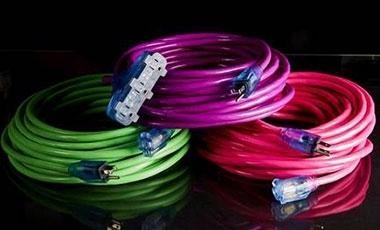 Our cords come in bright colors (blue, yellow, green, and pink) to stand out during winter conditions. Snow or ice, the cords will stand out to prevent trip hazards. This product comes with a power and ground check light for added safety. Don't let ordinary cords stop you from working. Grab insulated extension cords here! Century Wire & Cable partners with some of the best retailers and distributors in the world. Our mission is to partner in your success by delivering safety-conscious and innovative products that contractors demand. Our value added support and commitment to customer service plus POS solutions and product development services distinguish us in the marketplace.